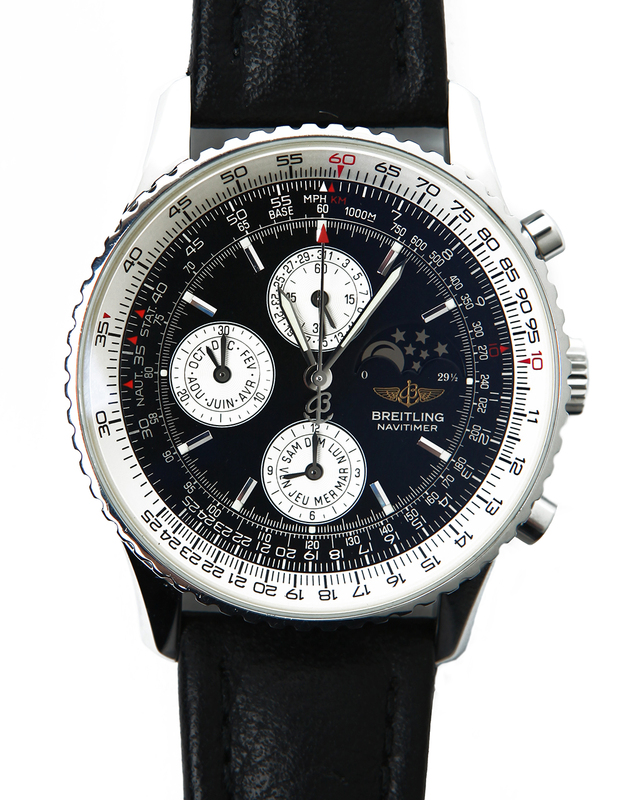 The Breitling Montbrilliant Eclipse is a truly unique example of navigational excellence. Produced in a small series, this lunar phase chronograph featuring a jet black dial and bi-directional rotating bezel is certain to make a lasting impression. A brown leather strap highlights the stainless steel case, and the 40MM size lends it an air of refinement. The dial has a date feature at 3 o’clock, oversized numbers and luminous markers, easily readable day or night. The Breitling Montbrilliant Eclipse is a prime example of sophisticated style and design, perfect for any occasion.